Knob Creek Twice Barreled Rye. Knob Creek Twice Barreled Rye puts an intriguing new spin on the Knob Creek brand for a limited edition, while still staying under $50 a bottle. Twice Barreled Rye is pretty self explanatory: it’s the traditional Knob Creek rye whiskey, finished in additional, new level four “alligator” charred oak barrels for a second time. It’s bottled at 100 proof, and according to Jim Beam, the second barrel adds sweetness and warm spice notes. That’s not exactly what’s going on here. The second barrel is doing two things by adding more wood influence: it’s adding additional sugar to the final product from what’s in the wood naturally, and it’s adding baking spice notes like cinnamon and nutmeg from the wood. But it’s also taking away more of those harsh rye spice notes from the grain, which gives this whiskey a significantly more mellow profile than you expect from Beam ryes. It becomes a question of balance. Balance is great when you’re talking about blended whiskies like the Japanese make, or bourbons that can “win awards” given by the more eccentrically dressed celebrities of this industry. But balance is also subjective; designed a balanced whiskey for the masses is like designing the perfect pizza for them. One person’s “too much cheese” is another person’s “not enough cheese.” Some people like pineapple. Others are wrong about pineapple. If you like oak and sweetness and mellowed rye, this whiskey will be great for you. It’s also, in our opinion, a cinch for cocktails, because it adds the major ingredients we want from whiskey for something like a Manhattan. But it’s not good at every job. It’s not going to keep the academics entertained for the whole night. Beam has other whiskeys to do that. The blunt point to make here is that this isn’t the most complex whiskey on the market. Fresh off a season of crazy limited editions and rare bottles, we have to manage our expectations a bit for projects like this. The good news, though, is that this is a nice bottle for certain consumers. It’s a tantalizing whiskey, particularly for the holiday season, when open fires, baking cakes, and other ambient flavors make for the right environment for sipping something double barreled. It’s a welcome addition to the home bar, and it makes a particularly nice host/hostess gift option for holiday parties, because at this price point and this flavor profile, you won’t be the least bit offended if they toss it on the bar for Boulevardiers after dinner. We’d be quite happy with that, ourselves. 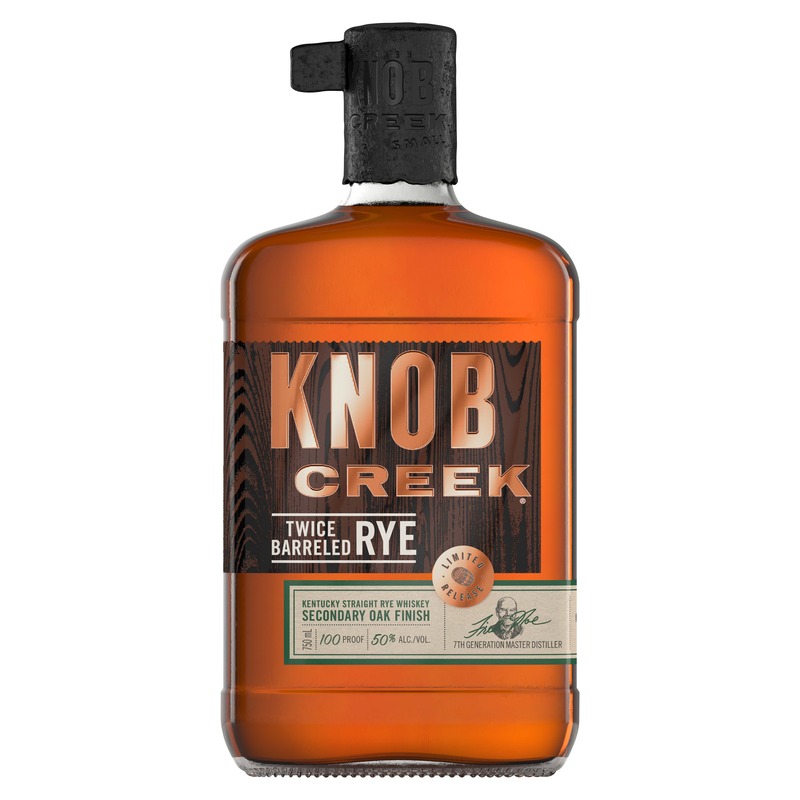 Knob Creek Twice Barreled Rye is on shelves this month at a suggested price of around $45.